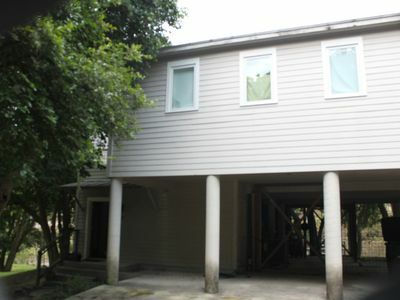 Located on the Popular Northside, Bottom Floor Unit No stairs! Bring Your Boat -parking available. Peaceful and cozy no trees blocking your stunning views. 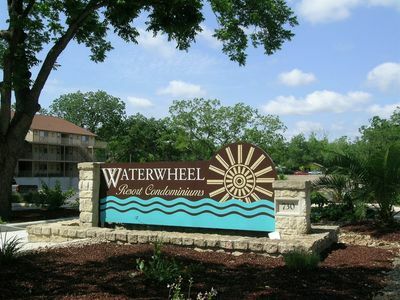 Whitewater Amphitheater is less than 10 minutes away from this beautiful condo. 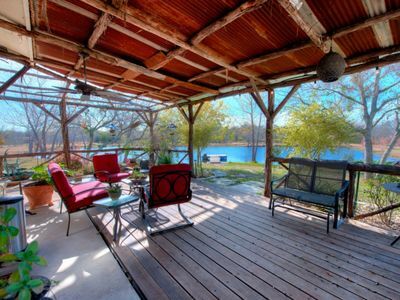 Awesome views of the Lake! 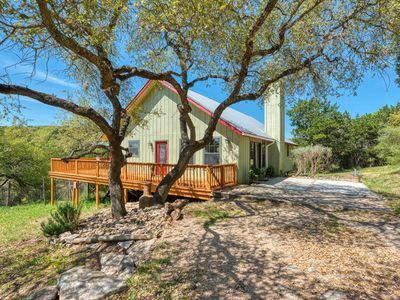 Beautiful accommodations and close to all Canyon Lake has to offer. 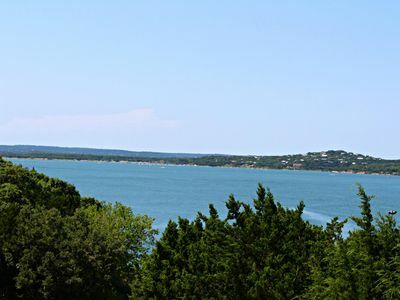 Canyon lake is Texas' best kept secret. 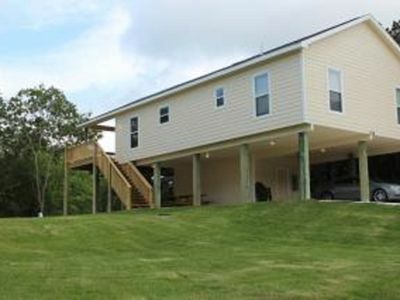 Your home away from home, 'Sierra Bella' is the perfect getaway with beautiful lake views and all the cozy comforts. 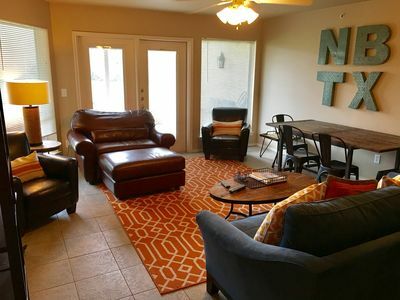 This unique 1 bedroom condo is on the first floor with easy front door parking. 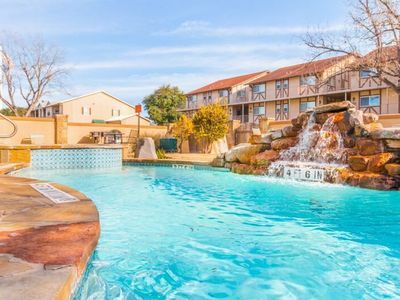 Completely renovated, all furnishings have been updated: luxury bedding, fully stocked kitchen, flat screen TV, Blu-ray/DVD player, and expanded cable package. Simplicity is key! 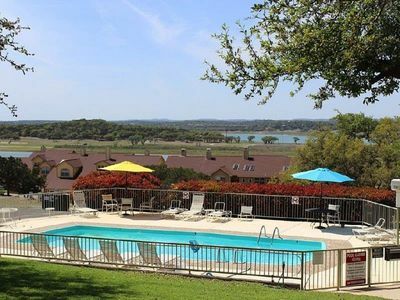 The condo is on the popular North side of the lake with best restaurants nearby and a convenient distance to Comal County park, Jacob's Creek, Marina, and tubing. 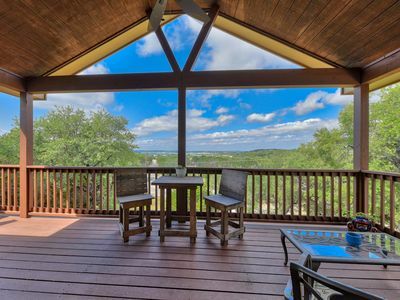 Relax and unwind on the patio; It is the perfect spot to enjoy your favorite beverage while watching the beautiful Texas sunsets and grazing deer in your backyard to leave the stress behind. 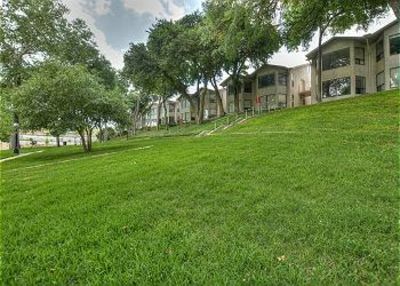 Directly off the patio is a nice grassy area ideal for grilling, and the pool is just steps away. 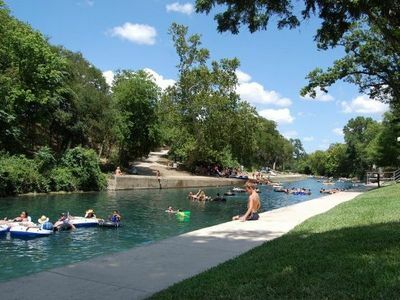 Enjoy tubing, boating, swimming, fishing, or just take a romantic walk. 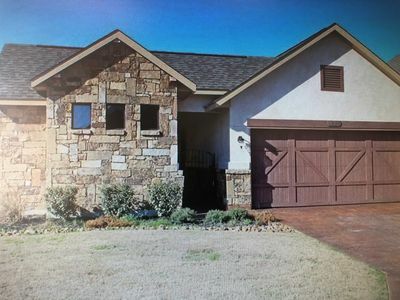 Rent daily, weekly, or monthly. 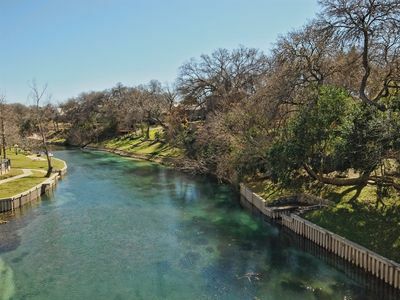 Canyon Lake is in the heart of wineries, designer outlets, unique shops, quaint restaurants, and beautiful scenic drives. 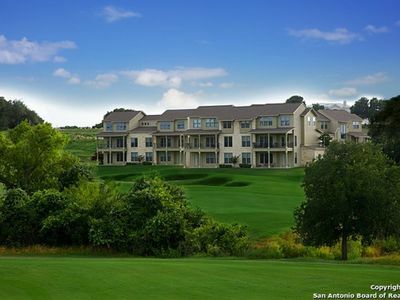 If Golfing is your forte, Canyon Lake Golf Club course is on the South side of the lake; it has reasonable green and cart fees and a beautiful but challenging golf course. 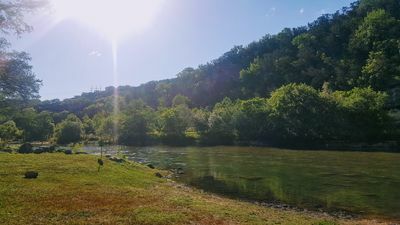 Whether you choose to explore the historic towns of Gruene, Wimberley or New Braunfels (10-15 minutes) or head to the big city (San Antonio or Austin located within an hour drive), you will experience the best Texas has to offer! Why wait? 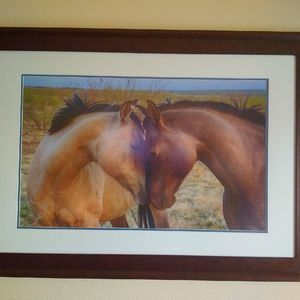 A beautiful space can be affordable! 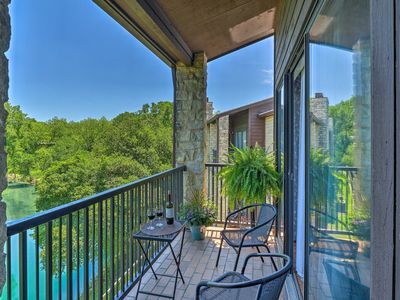 Book your weekend getaway now! NOTE: No phone services on premises. We stock the property with all basic kitchen utensils (dishes, glassware, flatware, pots, and pans). Our cleaning company provides a starter pack of toilet paper (2 rolls per restroom), paper towels (2 rolls in the kitchen), sponge (1), trash bags (3), dishwasher tablets (3), bar soap (1 per restroom), make-up wipes (2 per restroom), hand soap in the restrooms, and dish soap in the kitchen. We supply enough bath towels for the maximum occupancy of the unit, and half the guest count for hand towels and wash cloths. 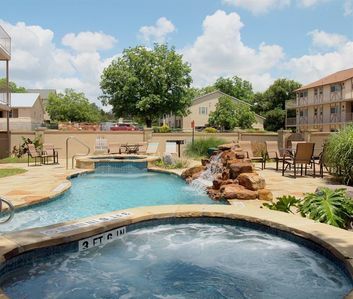 We recommend for guests to bring any food, toiletries, and beach towels they may need during their stay! 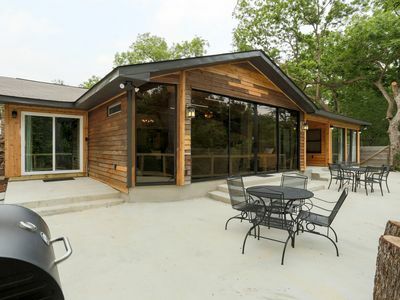 Riverside Retreat- 2BDR/2BTH- Sleeps up to 8 Guests! 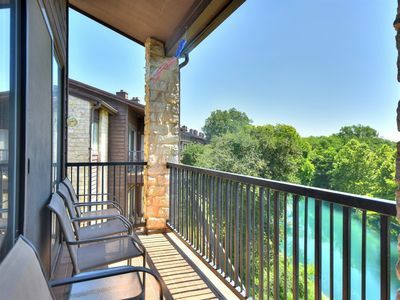 3 bedroom / 2 bath condo that boasts 2 balconies overlooking the Comal River!